A lovely natural environment and rich gold history are the twin rewards offered by this interesting walk. 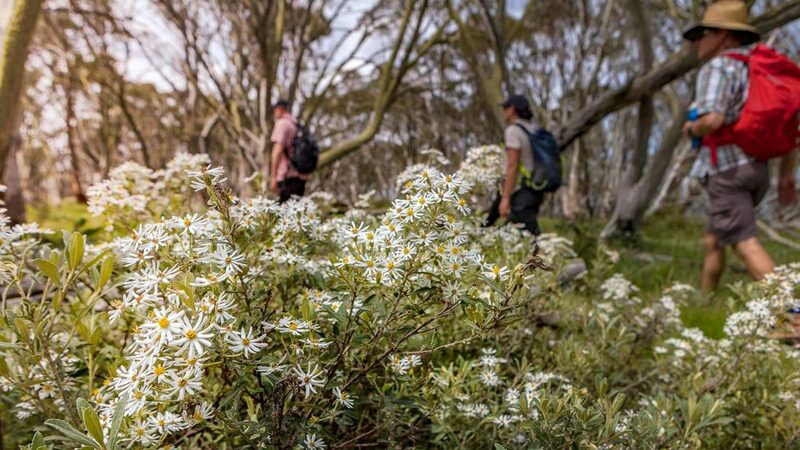 Within the Alpine National Park, it follows a disused vehicle track past the remnants of the long-abandoned Brandy Creek gold mine and down to the delightful flats of the Cobungra River. The Cobungra rises below Mount Hotham and flows into the Mitta Mitta (a tributary of the Murray River) near Anglers Rest. Start from the Cobungra Ditch South trail head, reached 5.5 km along the Great Alpine Road from Dinner Plain Village heading towards Mount Hotham.